Stephanie and Adam met each other in San Francisco while working at the same company (why don't more couples meet at work?!). They share an affinity for cupcakes, Din Tai Fung soup dumplings, and Adam does particularly well with picking up languages - including Cantonese. After recently moving to Hong Kong together, Stephanie and Adam began planning their destination wedding in Bali and they decided that their engagement photos should not only represent their new home city, but also properly welcome their overseas wedding guests to Asia on their save-the-dates and wedding invitations. 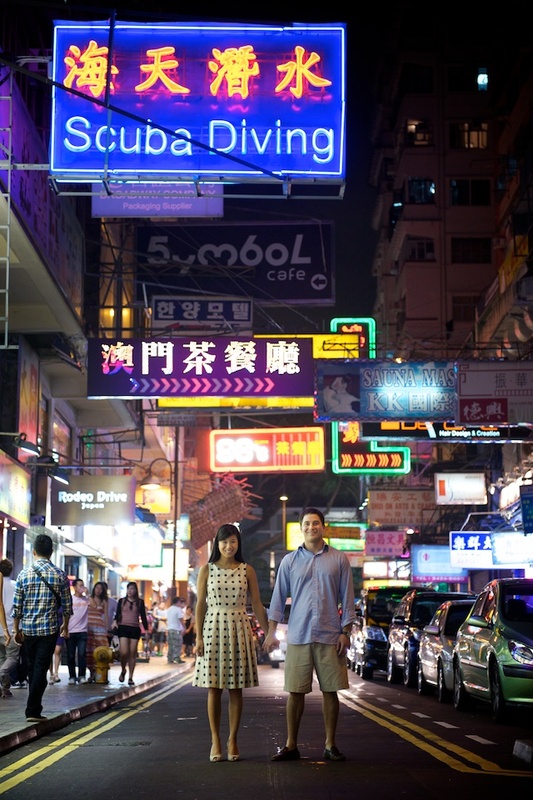 Here are some photos from our photoshoot in Wan Chai, Central and Tsim Sha Tsui.